Since 2011, from the Arab Spring to the Occupy movements, the world has experienced an unprecedented number of uprisings. Invisible Monument is an ongoing series of contributory audioscapes, geolocated in spaces across the world where these social movements started and changed history. Path of a person experiencing Invisible Monument in Dewey Square. © Halsey Burgund, 2015. 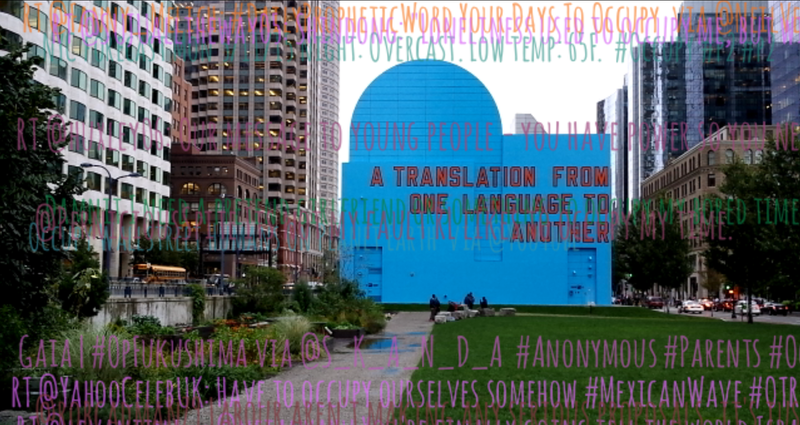 Screen captures from the application AnnotatAR: lofi- augmented reality for the mobile web by Rachel Boyce, Dewey Square, Boston, 2015. Invisible Monument is a collaboration between Lara Baladi, Ida Ely Rubin Artist in Residence at MIT Center for Art, Science & Technology (CAST), and Halsey Burgund, sound artist, musician, and MIT Media Lab research affiliate. Tahrir Cinema, Tahrir Square, Cairo, Egypt. © Sherief El Gaber 2011. 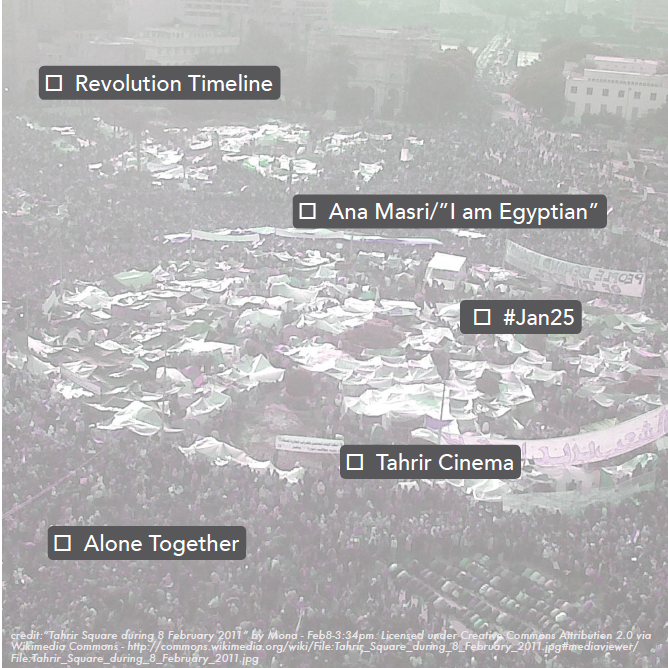 Notes from El Saniyya was an invitation to participate in the making of Lara Baladi’s project Vox Populi, Archiving a Revolution in the Digital Age. 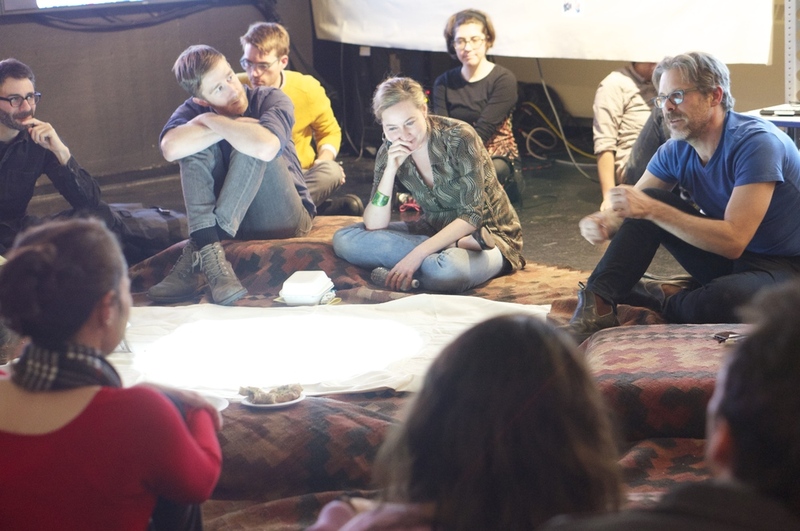 Visitors were immersed in and interacted with archival media in an experimental and conversational setting. 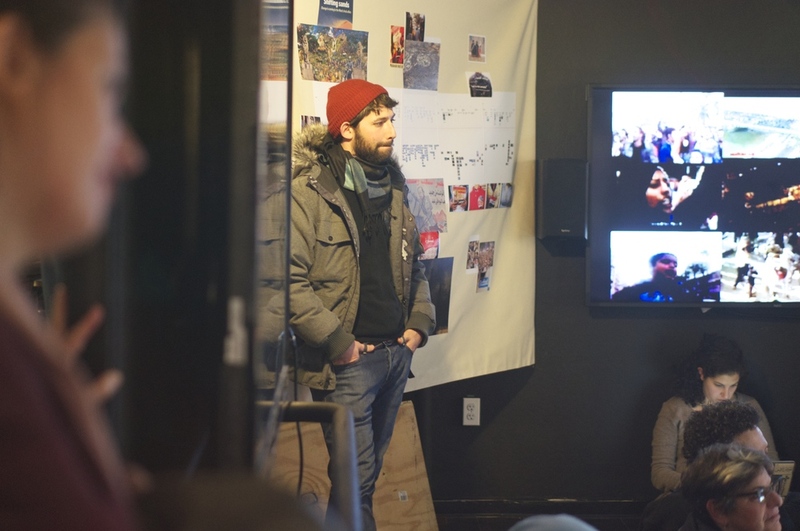 This open lab experience -mixing art, history, and digital media, included faculty, fellows, students and more in the creative process of making a socially-engaged art installation. Notes from El Saniyya was a collaboration between MIT's OpenDocLab Fellow Lara Baladi and Harvard’s DocShop. Notes from El Saniyya, Harvard School of Design. © DocShop, 2014. 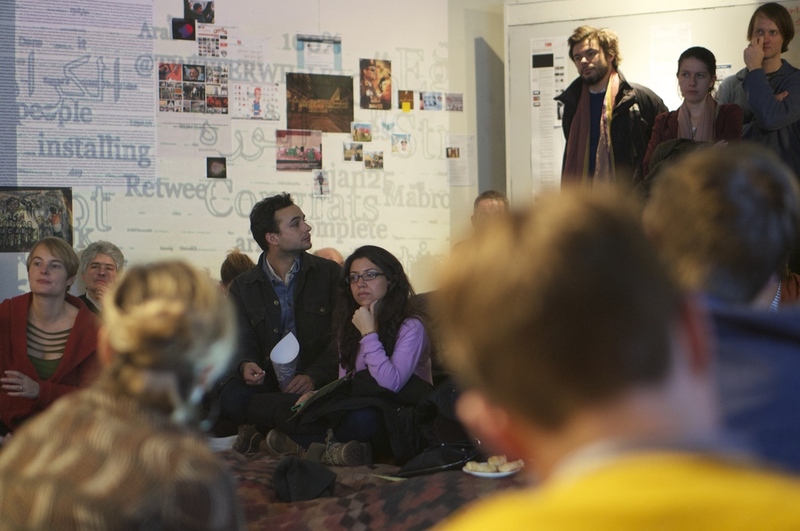 Notes from El Saniyya, Harvard School of Design. © Lara Baladi, 2015.